The next generation Tornado-S multiple rocket launchers are slated to replace the Russian Armed Forces’ time- and combat-tested Smerch MRLs before this decade is out. The year 2017 saw the first batch of Tornado-S multiple rocket launch systems being supplied to the Armed Forces and this formidable weapon will eventually serve as the backbone of the Ground Forces’ artillery brigades. Despite the emergence of high-precision and “smart” weapons, multiple rocket launchers remain an effective weapon against ground targets. 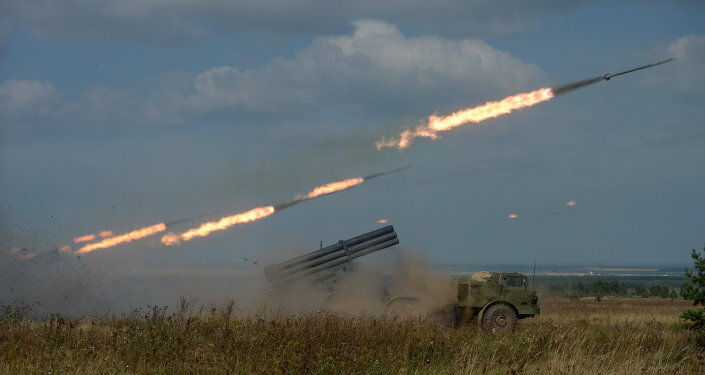 MRLs are being used by both sides of the armed conflict in Donbass, Syrian government forces widely use Russian “Grads” and “Uragans” to pound the terrorist positions. Even the Americans, with their predilection for smart weapons, readily use their MLRS and HIMARS systems in Iraq and Afghanistan. Still, the Western MRLs are no match for their Russian counterparts as this country has always been the hands-down leader in the development of such weapons. 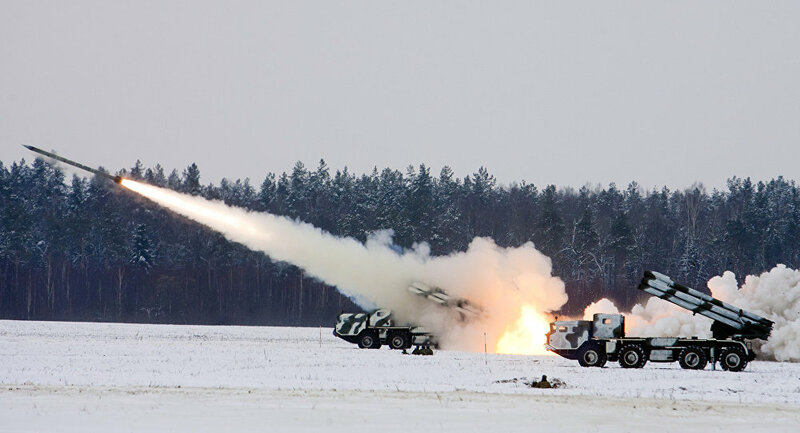 The legendary BM-13 “Katyusha” is rightly touted as Russia’s first multiple rocket launcher. First used on July 14, 1941 a battery of Katyusha MRLs took just eight seconds to lob 132 missiles at a concentration of German tanks turning them into a pile of burning junk. 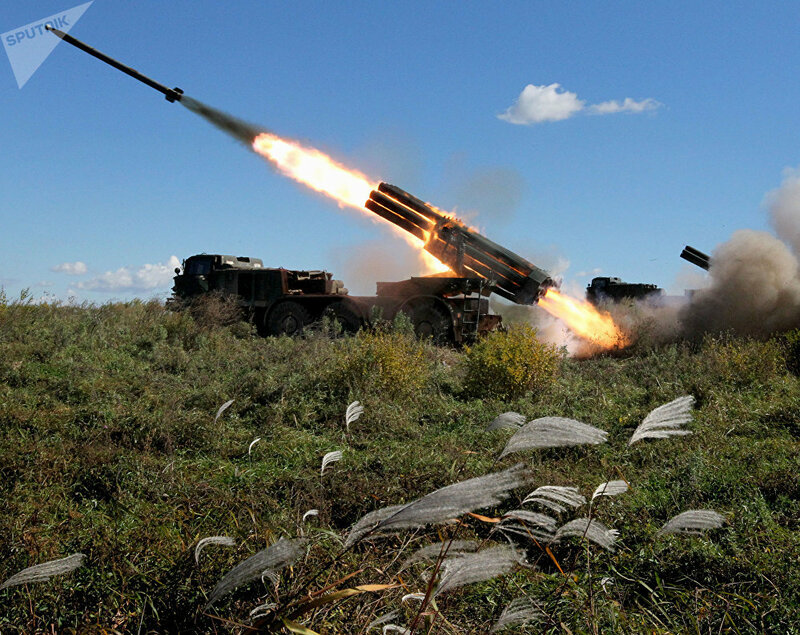 A Grad multiple launch rocket system during field firing, Leningrad Region. While rocket launching systems such as the BM-13 were largely inaccurate for direct target fire, the psychological effect delivered from a release of large, high-explosive rockets against an enemy-held area was second to none. If properly amassed in number, a force of such vehicles could lay waste to swathes of enemy-occupied territory and, as such, accuracy proved of little importance in the long run. Mounted on a heavy truck that fired volleys of up to 48 rockets nearly four miles away, the “Katyusha” was infamous among German troopers who quickly learned to dread its distinctive scream. They named the Katyusha "Stalin's Organ." The “Katyusha”’s first post-war successor, the BM-21 “Grad,” took 20 seconds to fire a volley of 40 122 mm blast-fragmentation, cluster and incendiary rockets 30 kilometers [18 miles] away laying waste to some 20 hectares of enemy-held territory. The BM-27 “Uragan” MRLs, which started being supplied to the Soviet Army in 1975 differed from their “Grad” predecessors in that they had fewer launch rails (16 instead of 40), but the destructive effect of their 220 mm rockets with 240 kg warheads were a far cry from what the “Grad” could offer. A full broadside by a single “Uragan” vehicle devastated a 40 hectare area up to 35 kilometers [21 miles] away. The BM-30 “Smerch” MRL introduced in 1987 was even better. 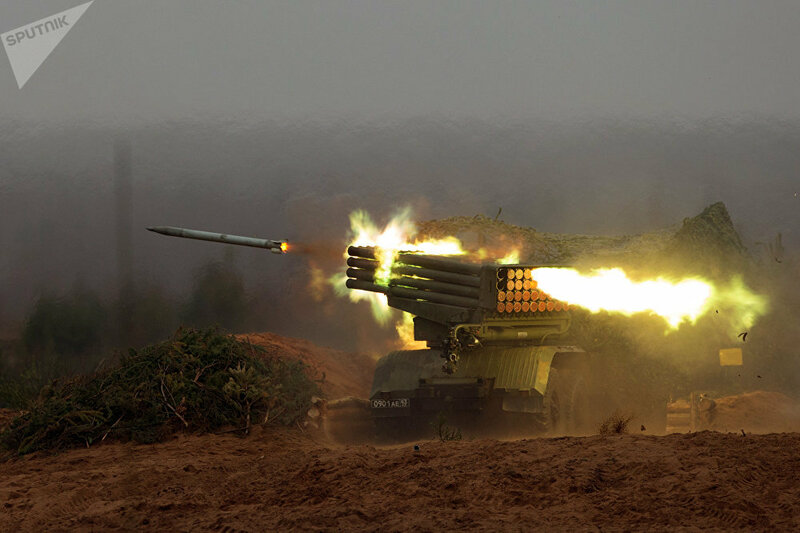 Widely touted as the most powerful type of this weapon around, a single “Smerch” truck rains 12, 300 mm cluster, blast-fragmentation or thermobaric rockets each weighing about 26 kilograms. A single volley is enough to devastate 70 hectares of enemy-held territory at a distance of between 20 kilometers [12 miles] and 90 kilometers [55 miles]. The destructive effect of a simultaneous broadside by six “Smerch” MRLs equals that of a tactical nuclear weapon. Powerful as they are, these multiple rocket launchers are now making way for the more advanced and considerably more destructive “Tornado-G” and “Tornado-S” systems. The BM-27 Uragan self-propelled multiple rocket launcher system during a military exercise of artillery units of the 5th Army at the Sergeyevsky training ground in the Primorye Territory. Both of these systems are equipped with state-of-the-art onboard fire control and communications gear and GLONASS satellite navigation. They fire newly developed self-homing rockets with cumulative-effect cluster warheads which are highly effective against armored vehicles and tanks. According to an annual report by experts from the International Institute of Strategic Studies, the “Tornado-S” is heads and shoulders above all of its foreign analogues that are currently in existence in the world.